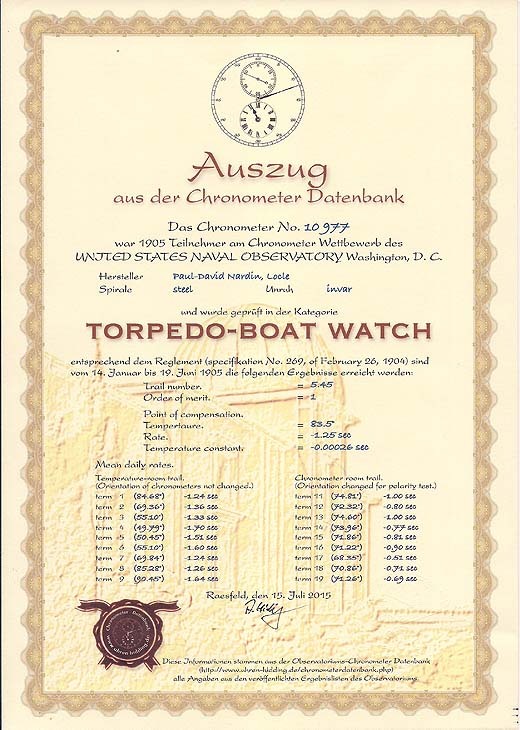 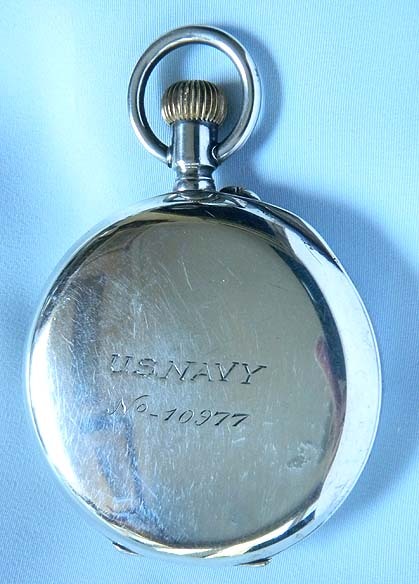 Fine Swiss Ulysse Nardin silver Observatory Chronometer antique watch made for the US Navy, with observatory observatory documentation, circa 1910. 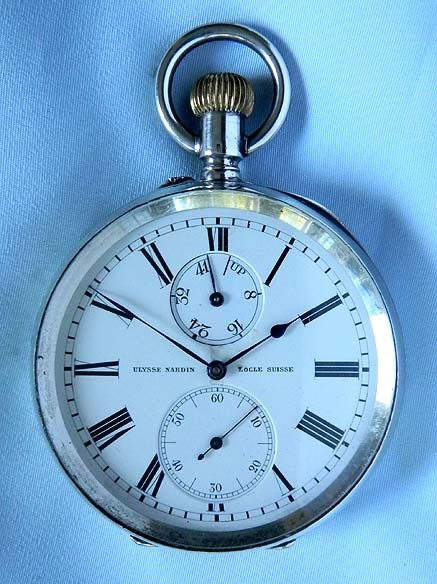 Fine white enamel dial (repairs) with bold black markings and blued steel hands. 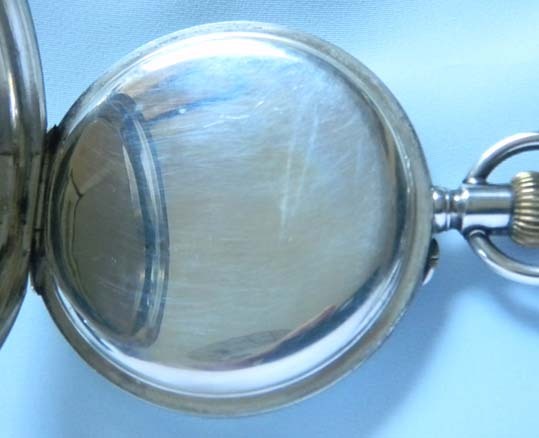 Heavy plain polish .875 silver case (small ding). 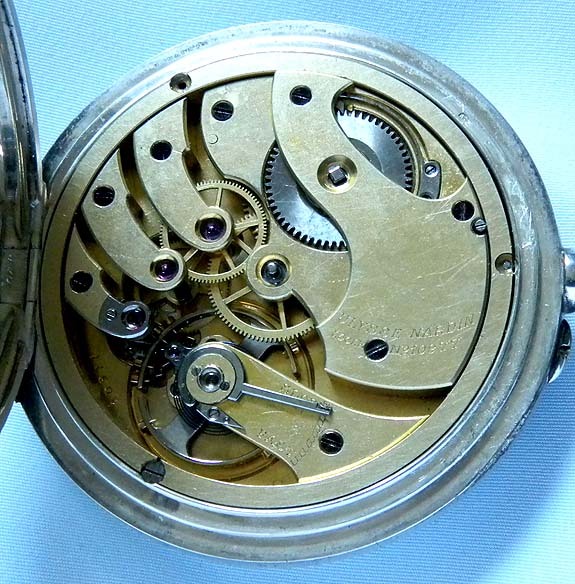 Gilt 20 jewel movement with Guillaume balance and the serial number two times.